Western Australian (WA) growers are reaping the rewards of a $17.6 million, five-year investment by GRDC to lift the water use efficiency of grain cropping systems by 10 per cent. The GRDC’s national Water Use Efficiency Initiative 2008-13 was a collaboration between 16 research groups and involved trials in all rainfall zones across WA and the rest of southern Australia. Its main outcomes were to identify and improve the pre-sowing and in-crop (from sowing to harvest) management tactics that can lift WUE – and therefore yields - of cereal crops. The project also highlighted the critical importance - in a climate of increasingly unreliable rainfall - of using a combination of management practices before and during the cropping phase to boost soil water storage and use by crops. 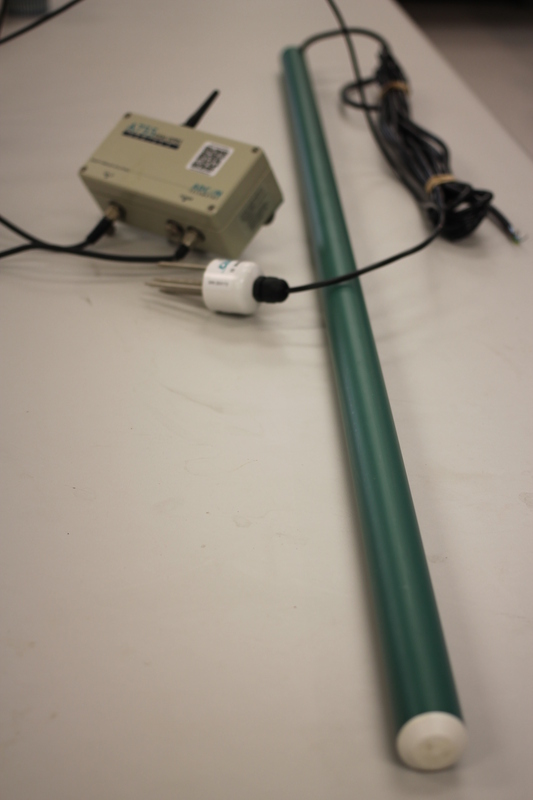 There are many soil water measurement and grain yield forecasting tools and models now available to help growers fine-tune WUE management tactics based on the amount of stored soil water available. Researchers and grower groups in WA are continuing to test these systems and increase their usefulness for local conditions. The months – and even years – leading up to sowing set the potential for a soil to capture and retain water for the subsequent crop. Pre-crop practices that - when combined with correct crop variety choice – can lift WUE include fallow weed management, rotation and variety choice, long-term stubble retention and minimum tillage. Other contributing factors include soil structure, soil fertility, soilborne diseases, stubble and grazing. 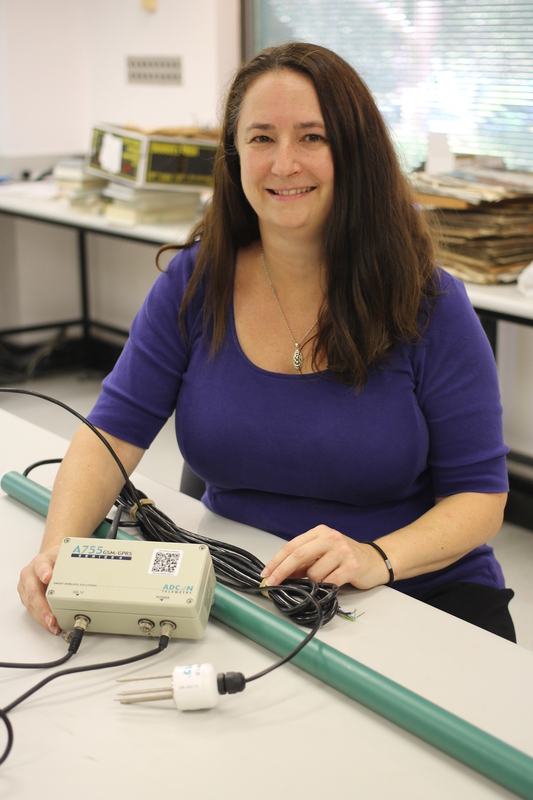 CSIRO agriculture research scientist Dr Yvette Oliver with water probe technology that is being used to improve soil water information for WA growers. PHOTO: Cox Inall Communications. Practices used during the period between sowing and harvest that can boost the WUE of a farming system include sowing date, plant density, tillage/residue system, nutrient choices, weed and disease management (crop protection), canopy and root development and frost and heat stress risk management tactics. Getting these factors right allows the system to capitalise on the increased water storage achieved from pre-sowing agronomic practices. Plant breeding innovations, for traits such as maturity, frost and heat tolerance and the long-coleoptile wheat genotypes being developed by CSIRO - with GRDC funding - also have potential to deliver extra yield benefits for growers in water limited conditions. Long coleoptiles can emerge from deeper in the soil profile and allow timely sowing when effective pre-seeding management has ensured availability of soil water. Department of Agriculture and Food WA (DAFWA) senior researcher Bob French has been investigating deep sowing of varieties – including those with long coleoptiles - that places the seed on sub-soil moisture, where it can germinate without the need for follow-up rain. His trials at Dalwallinu, Merredin and Mullewa in 2012 and 2013 demonstrated that some wheat varieties could establish well when sown to a depth of 70-100mm. In these trials, wheat varieties with long coleoptiles tended to be less sensitive to deep sowing than those with short coleoptiles at all sites. But long coleoptiles did not guarantee good establishment – emergence rate was also a key factor in success. GRDC also funds managed environment facilities (MEFs), including at Merredin, where moisture levels can be controlled as part of efforts to breed for greater cereal WUE.